While a lot of people are aware of the consequences of the clothing industry on the environment, there have been a gradual increase in the production of sustainable alternatives of it. Since, the clothing industry is the second largest industry in the world, hence it has a greater impact on the environment and the health of the people who are wearing it. Thus, the ecofriendly route is taken by many private label clothing manufacturers who want to help take their consumers take the conscious route. 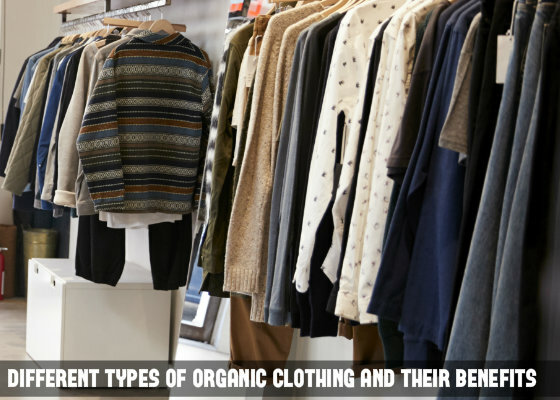 To gain an insight into the different types of ecofriendly fabrics have a look at the blog so that you can determine the type of clothing that will help your retail store grow the ethical way. Cotton is a plant based natural fiber that is being used in large proportion in clothes due to its absorbency quality, durability and the intrinsic softness value. Since cotton is extremely comfortable hence it is most suitable for wearing in warmer climate. Cotton plants are grown from non-genetically modified seeds hence, there are no use of pesticides or insecticides for the growth of it. Even though bamboo clothing is often labelled as organic, there is a special caveat associated with this type of clothing. Bamboo fiber is a plant-based fiber made from bamboo cellulose, which is a renewable biopolymer. Eco-textiles made from the bamboo fiber helps to keep you warm in winter and cool in summer. In addition, bamboo fiber is also highly absorbent (more than cotton) and is actually wrinkle free. Soy is another plant-based fiber that is derived from the hulls of soybean. These hulls are in turn the food manufacturing by-products the hulls left over from the soya bean food production, that are used to produce soya bean fiber which can be processed to make clothes. Hence there is no scope for wastage in the complete soya bean manufacturing process. The soya fibers are soft, silky and gives an elastic feel hence rendering it suitable for making clothes. Hemp is one of the commonly used fabrics for eco-friendly clothes due to a number of properties. Hemp clothing is extremely durable, offers moderate protection from UV rays and is quite resistant to dirt, which means these clothes are easier to wash without the help of extra chemicals. Hemp also comes naturally in different colors, namely, green, black, grey and brown. Apart from being perfect for clothes, it also helps the environment. Due to its faster growth rate, it absorbs carbon from the atmosphere much faster. Hence, checkout the bulk offerings of private label clothing wholesalers that you would like to include in your stock. You can go the ethical way by ordering clothes made from these fabrics and contributing towards the environment.